Regain your sense of security with fast, affordable lock rekey solutions from South Austin Locksmith Pros. We provide honest, reliable 24-hour assistance throughout the area. We’re a licensed, bonded and insured local company based right here in your neighborhood. We offer the best residential and commercial locksmith service rain or shine throughout the year, including evenings, weekends and holidays. Our mobile team is always courteous and respectful; and they will come prepared with the right tools, supplies and equipment to get the job done right the first time. You can also count on us for upfront pricing, reliable results and 30 minutes or fewer response times in emergency locksmith situations. What Exactly Is A Lock Rekey? The process of “rekeying” a lock involves removing the lock cylinder and changing internal pins so it will work with a new key. While it can sometimes be a DIY project, some locks require more attention than others to successfully complete a re-key. Fortunately, we’re available 24/7 to respond to your needs. Our local experts can service all types of locks, even the latest high-tech keyless entry lock systems. Because we’re local, we’re not bound by national chain prices and policies. We can keep our rates reasonable and offer personalized service based on what our customers need. Plus we are a small business right here in South Austin and we’ve got to stick together! Even if you find your keys, there’s no way to know extra copies weren’t made while they were missing. 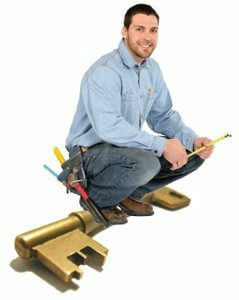 Our locksmiths can replace all types of keys, fast and hassle free. By the way, we also have pretty awesome automotive locksmiths on call if you need to replace your car keys. Maintain your personal security and protect your assets with proactive rekeying. Consider having new keys made whenever you get new tenants or make staff changes at your place of business. Give yourself one less thing to worry about when moving into a new home. There’s no way to know how many keys were made previously. Protect your belongings when going through personal situations like this with new keys. It’s a quick, cost-effective way to get back your peace of mind. How Long does it take to complete a lock rekey? We can usually complete a rekey fairly quickly, although the time involved does depend on the type of locks you have. Also if you have a large number of locks that you want new keys for, this will take some additional time. Once we arrive, we will be sure to give you an accurate estimate of the time required to complete the job. Do I need a rekey, or a "lock change?" While often used interchangeably, these are two very different things. A rekey is recommended if you’ve lost a key or lost track of extra copies. A “lock change,” meaning replacement of the entire lock and related hardware, is recommended if the lock itself is damaged. Peace of mind is on the way when you call on the experts at South Austin Locksmith Pros for all your locks services. We’re proud to be an active part of this community. Contact us today to arrange for immediate assistance or less or schedule an appointment at a time that works best for you. Lock Rekey https://south-austin-locksmith.com/lock-services/lock-rekey/ 3.8/5 based upon 28 reviews.